Incorporating tile into your home design is a look that will never go out of style. 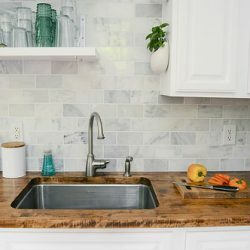 However, there are new and interesting trends in tile design that can bring a unique charm to several areas of your home. Highland Park Tile is known for its simple design and neutral color palette, serving as a perfect addition that highlights areas from your bathroom to the kitchen and beyond. 1 A New Backsplash for Your Centerpiece Bathtub. 2 Add Highland Park Tile in Unexpected Areas of Your Home. 3 Make a Statement with a Tile Backdrop. A New Backsplash for Your Centerpiece Bathtub. More and more, homeowners are designing bathrooms that have a spa-like quality, creating a refuge to de-stress after a long, busy day. Modern clawfoot style bathtubs are finding their way into today’s bathrooms as a centerpiece of the room. 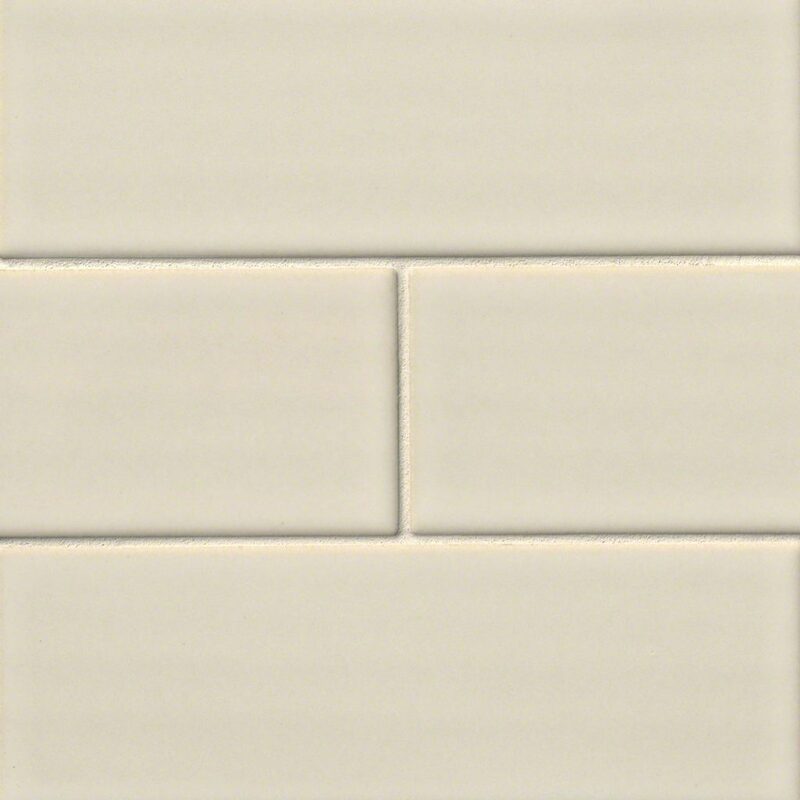 Using the large Subway or Arched Herringbone style of Highland Park Tile pattern will make a statement in any bathroom. These classic styles are the same found in the traditional townhomes in places like the New York boroughs of Queens and Brooklyn, which are still popular today. This is a modern application of a vintage design look. Add Highland Park Tile in Unexpected Areas of Your Home. Tile doesn’t have to always be used as a backsplash in the kitchen or wall in the bathroom. Look for interesting or unique ways to incorporate it into other areas of your home. For example, it can be used to create a stylized look for a mantle or as a backdrop around a living room fireplace. Use the Hexagon or Elongated Hexagon pattern to add interest above the mantle and highlight the look of a traditional fireplace. As a complete surround, it’s a modern take on the typical brick or stone that are usually found around fireplaces. This usage works especially well with the newer electric versions. Make a Statement with a Tile Backdrop. 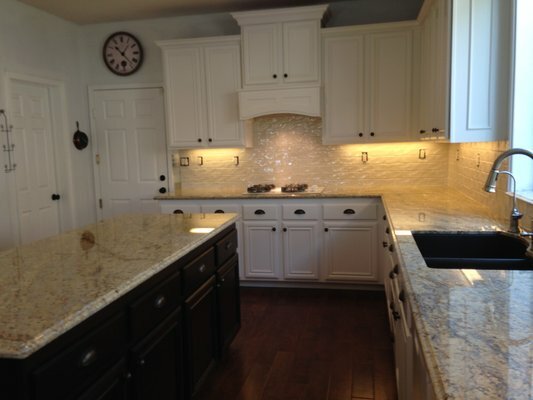 One of the rooms in your home that probably already uses tile is the kitchen. 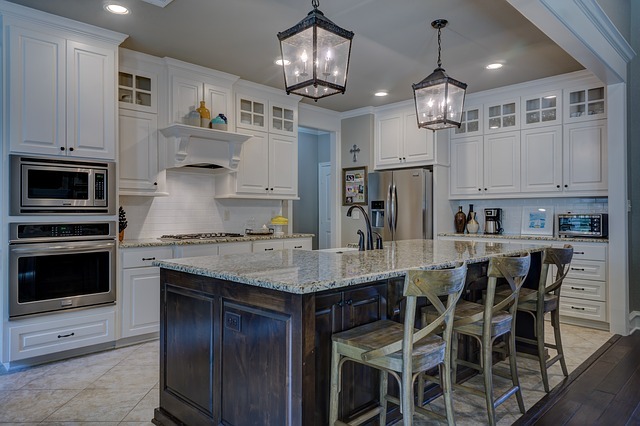 Tile and kitchens go hand in hand because of its durability and ease in cleaning. Instead of using tile as merely a backdrop to your appliances or sink, try using it as a large statement piece for your kitchen table. Create a patterned wall of tile in your dining or breakfast area of the kitchen to serve as a backdrop that is both functional and fashionable. 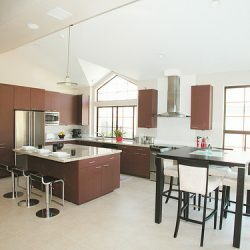 It’s a new trend in tile design that helps to visually establish different areas of the kitchen and works in large or small spaces. Look outside the box when incorporating tile in your home. With the various sizes and patterns available today, you are only limited by your imagination. Tile stands the test of time both in durability and popularity. Even as trends change, neutral tile in classic designs will continue to work in your home design.